Here's a detail shot of this. I've needlefelted all sorts of bits together and I'll begin hand-stitching. It's part of my Rainbow Series. So, I'm unhappy with this one. I was trying to be Janet Bolton when I started this piece. But I got too Jane-like, as you can see in the detail shots here, here and here. I wanted this to be minimalist and tell a story. Didn't happen. If I'm going to try Janet's style, I think I may have to plan ahead. 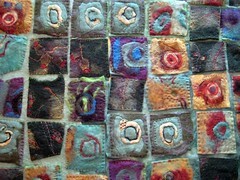 Remember this quilt of mine, made from wool felt. 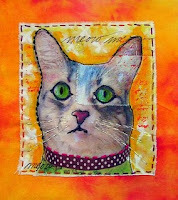 Well look what Kelli NIna Perkins made about watching my The Small Art Quilt DVD! 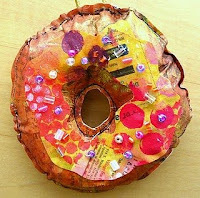 Just finished up teaching my 8 week Mixed Media class at the Athenaeum today. Such a great group of people and artists! 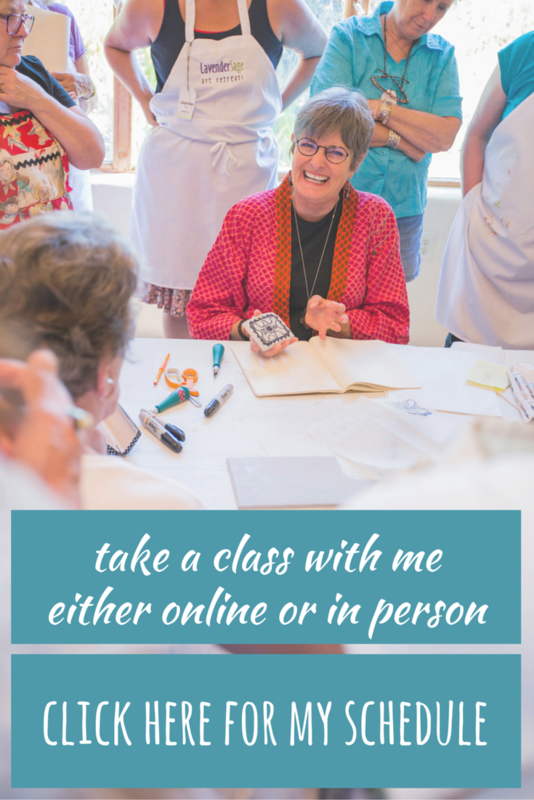 Hope you'll join me at one of my upcoming workshops this summer. 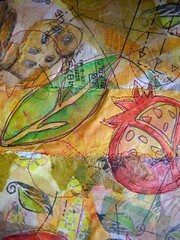 a week or two ago, I made these stitched cloth paper sheets, inspired by Kelli Nina Perkins FABULOUS book Stitch Alchemy. 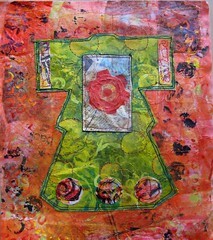 Then I made this using those papers for the joggles class I'm teaching, Kimono Collage. One of the things that I enjoy most in my life--wait a minute, there are sooooo many things about my life that I enjoy! Being an artist is the BEST life! Anyway...one of the things I do during the week that I love is teaching Mundo Lindo, the free afterschool art program I created for 4th & 5th grade kids. 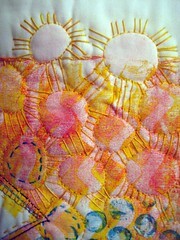 This week and next we're doing this fabulous project from Ann Wood. 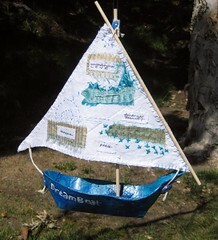 Since, as usual, I'm one step ahead of the kids, I'll be completing my 'dream boat' and posting it this week. Waay cool project. Thought you'd be interested (well, okay, mildly interested) in seeing the setup for the pagelet I did, based on Kelli Nina Perkin's tutorial. You can tell I work in pristine conditions in my studio.......ha! Here's the full piece. I think it's done. 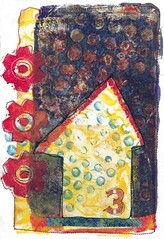 Here's a detail of Shadow House. I'm not quite sure it's finished. It may need some tiny buttons. I'll show you when I'm done. Speaking of works in progress....aren't we all??? I'm still ruminating on what I heard and saw at the SAQA conference. I was introduced to Diane Savona's work (unfortunately, not in person) and was incredibly moved. 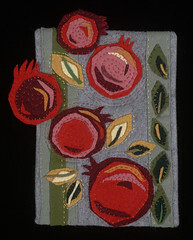 Words like "reconsider, investigation, tangible history" were spoken about her work by Marci McDade, editor of Fiber Arts magazine. Everyday items reinterpreted in an earth-shattering way. I was stirred by thoughts on art like: concept, intention, emotional logic, meaning, inspiration. what informs your art? Look back and look forward, and make a reference to the past in your art. The art has should be about something and that something will project to the viewer. Art is communication. Art as a way to activism. Mung Lar Lam's work was delicate and her words were gentle and meaningful, yet powerful. I want to be Lea Redmond when I grow up, except she's only 29. I felt as though I understood Consuelo Jimenez Underwood amazing work, as I live on the Mexican border and have studied Mexican folk art on my trips to that country. These topics spoke to me. I feel I began this type of work with my piece Ralph's Letters (and now of course, realize I should have given it a 'deeper' title!) And my slow cloth, especially the piece "Above the Bog" are works that have a deeper meaning and works that I'm proud of and know they are distinctly original to me. Of course, I do and will continue to do mindless, pretty stuff, but I also want to work deeper in selected pieces of my work. 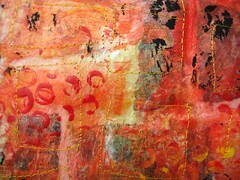 I'm home from the Studio Art Quilts Associates SAQA conference in San Francisco and assimilating all I heard and saw. I was lucky enough, as SAQA co-rep for Southern California, to be included in a wonderful dinner party at Judith Content's house. This photo is just one of her many many beautiful and elegantly displayed collections. 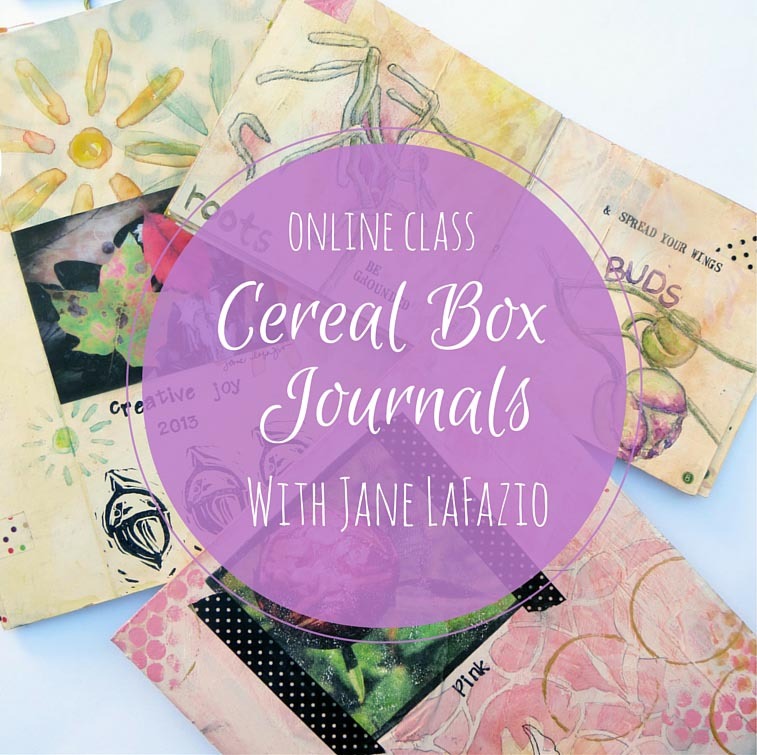 My friend Jane Davila is teaching an online class, Jump Start your Art Career. I bet it's going to be excellent. Well, I finished this huge piece (3x4 feet) and with help, found a title. Here's the artist statement. Influenced by a recent trip to Ireland, I’ve blended and mended my memories of the beauty and variety of the luscious rich green hills and meadows, the kindness and wit of the people with the tragic history of the country. While visiting Ireland, I saw bogs for the first time. The bogs are dark, mossy, mud-like areas that preserve, beneath the surface, more than 2,000 years of Ireland’s history in the form of mummified plants, animals and people. I worked on this in individual sections, you can see the works in progress here. 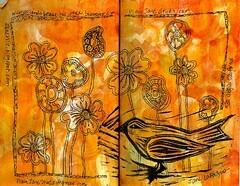 With a tombo pen (they are watersoluble) and watercolors in my Moleskine. SketchCrawl in Bonita with about a dozen or so of us. Husb went too and here's a pic. A continuous line (straight to ink) drawing with a touch of watercolor. I taught a one-on-two sketching and watercolor: journal style class yesterday the the nearby winery, and it was farmer's market day. 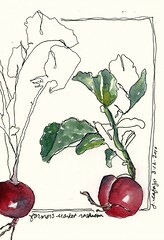 I dislike radishes, to eat, but I couldn't resist buying these to draw and paint. 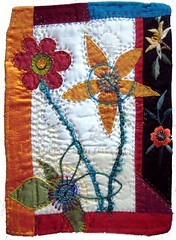 Remember this quilt, Zen Eucalyptus? 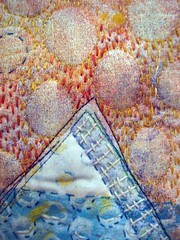 It was juried into Quilt Visions 2010: No Boundaries! 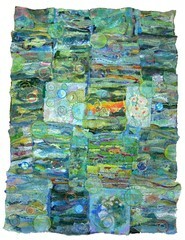 It was one of 40 quilts accepted out of 600 entries. I'm thrilled, over the moon, jumping for joy! 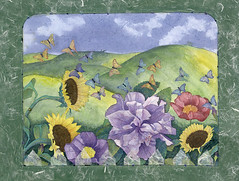 The exhibition will be at the Oceanside Museum of Art, Oceanside, CA October 24-March 13, 2011. The reception is October 23--I'll be there with the huge grin on my face! 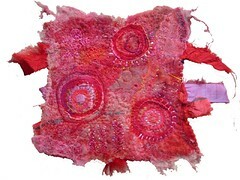 The quilt is made of cut of pieces of felt that I created using the wet-felting process. 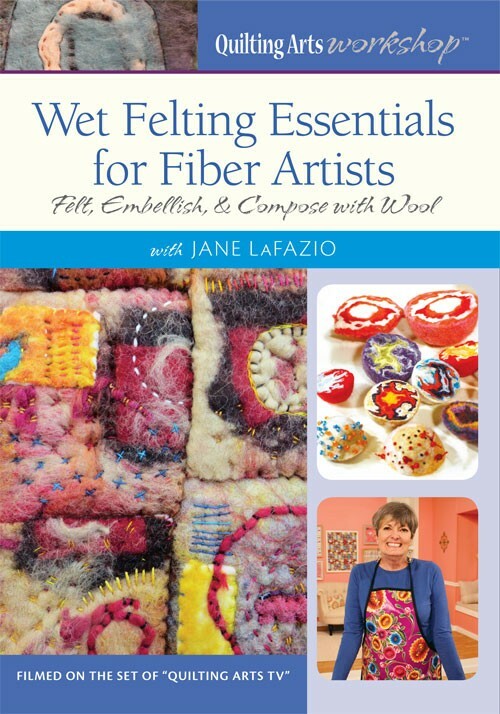 I'm teaching a wet felting workshop on July 6 in Idyllwild. 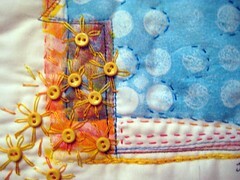 A detail shot of some stitch paper, as Kelli Perkins calls it. 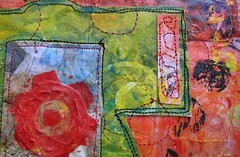 It's paper collaged onto fabric, painted and stamp and stitched. Can you see the yellow thread where I free motioned square shapes? You know, I confess, I use whatever the thread is in the sewing machine for whatever project I have in my hand! I stitched this in yellow thread, then just used the same yellow thread again on a huge, important (mostly green) quilt I'm working on.......just cuz the yellow was there. lazy? impulsive? intuitive? yes! Oh, back to the title of this post, these colors always remind me of Chinese New Year. Another house is being built in the neighborhood. A gelatin monoprint, this time with 2 layers of organza and some commercial fabric, totally ala Melanie Testa and her book Inspired to Quilt. 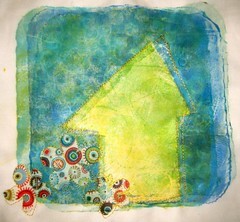 By the way, she's got a great little video on her blog with monoprint ideas. 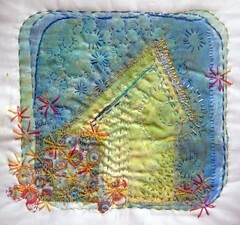 Shadow house has just has a little machine stitching so far, with lots of hand stitching yet to add. 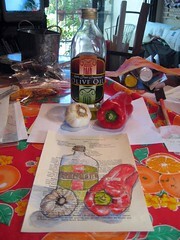 We bought our tickets to Italy for my Bella Italia: Orvieto Sketchbook week! woohoo! I need to add some Italian Villas to my neighborhood! With inspiration from the Trees of Life in Mingei International’s ¡VIVA MEXICO! 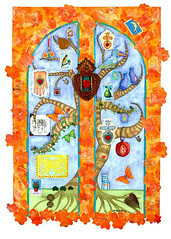 exhibition and gentle guidance from artist Jane LaFazio, create a personalized Tree of Life in the form of a multimedia watercolor painting. Participants will bring small images of meaningful memories and symbols to integrate with materials synonymous with Mexican culture such as milagros and lotería cards. Appropriate for adults and children 12 and older. Limited to 25 participants. Advance reservations required. Materials are included. Mingei Museum, Balboa Park, San Diego. 619-239-0003 ask for the Education Department or go HERE to register online. 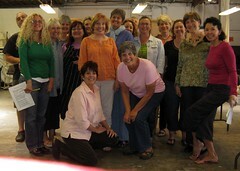 I'm teaching 3 days in beautiful Idyllwild this summer, a 2 day mixed media class and a 1 day wet felting. If you register before March 15, they offer a 10% discount. 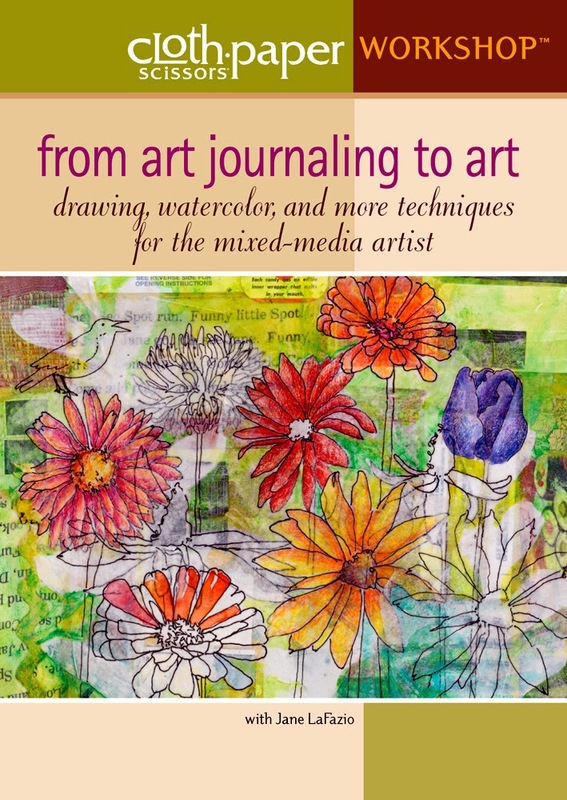 And don't forget Art Unraveled in August! I'm teaching 3 different workshops.. 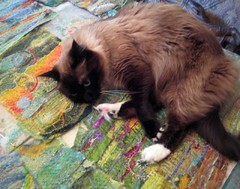 I'm started to assemble my pieces of green slow cloth, and as you can see, I'm getting some 'help.' And I need your help, dear readers, to name this piece. I can tell you it's 36x48" and it's mostly green and it has/will have a sort of overlay of circle patterns...I'll take more photos as I progress, but I'd love some help with a name! 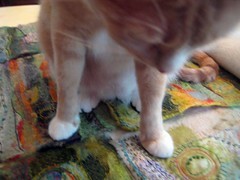 Buddy consults on the hand stitching. A friend asked me to take part in a traveling sketchbook. So here's my page. I'll be passing it along to someone else, and hopefully it will travel the world and be returned full to the organizers. I'm calling these pieces, my Rainbow Series. They are another form of 'slow cloth' for me. 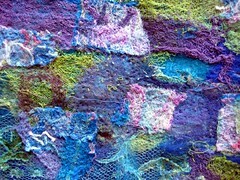 I've needlefelted all sorts of rovings and ribbons and things, then layered with sheers and more needlefelting. 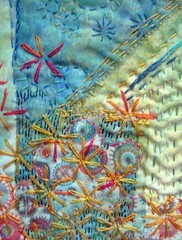 Then I hand stitch...Lots more of these to come! And thanks so much everyone for you comments about my interview with Kelli! 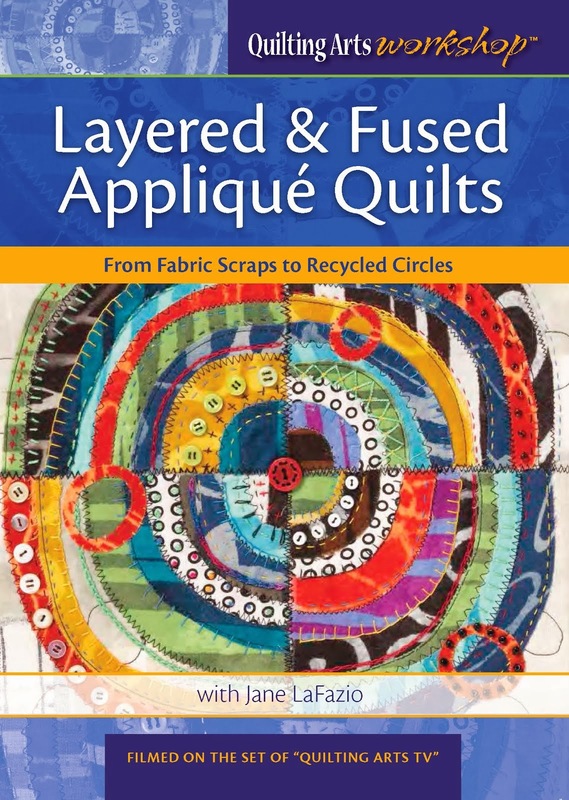 I mentioned recently that I'd gotten Kelli Nina Perkins' book Stitch Alchemy and was getting lots of inspiration and techniques. So just for fun, this month will be Kelly Nina Perkins month in JaneVille. 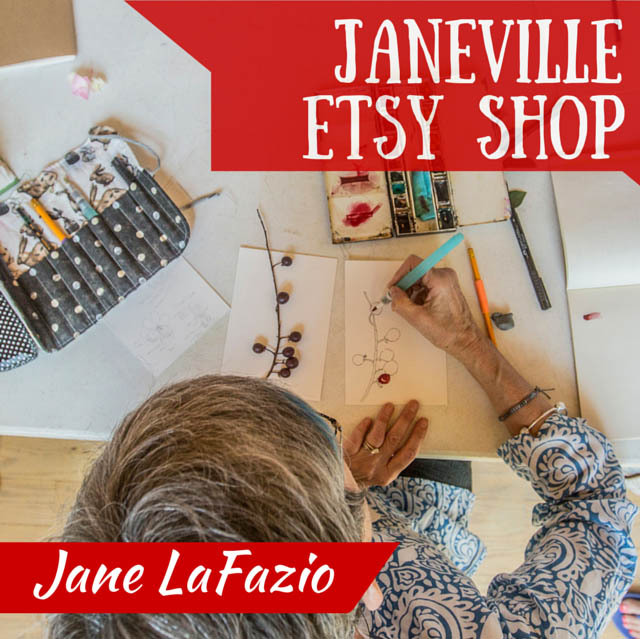 Jane: What is your story, how did you become an artist? 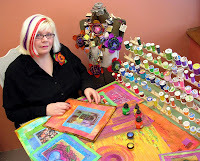 Kelli: Being creative is part of the human condition and I've always dabbled in small art adventures like soap making, painted furniture, Russian style egg decorating… the list goes on. I would say that creating has always been a complement to my life, but it became a focus when I saw my first altered book about ten years ago. 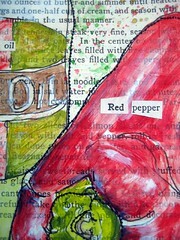 There was a convergence of everything I loved; books, ephemera, art. I may have stopped breathing. In any case, I did hear angels singing and that caused me to go immediately home and set up a card table with some basic crafting supplies. I began feverishly creating and haven't stopped since. 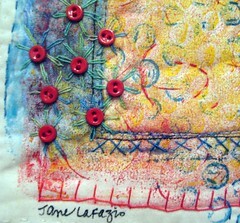 Jane: I just love your stitch paper! It is soo fun with never ending possibilities. Would you say stitch paper is your favorite medium? Kelli: Every medium is my favorite, which is why I'm such an art chameleon. But stitch paper exemplifies my favorite principle: serendipity. I try to let the result surprise me. Throw a bunch of unrelated things together on a magical canvas and you're bound to be awed. It's the combination of voices all straining to be heard which interests me. I love it! Jane: What inspires you? Your imagery is bright happy and home based. Lots of food and cooking and sewing references. Would you say that’s where you get most of your inspiration? Kelli: I am drawn to iconic images of the home and especially the kitchen. That's where my childhood memories are. 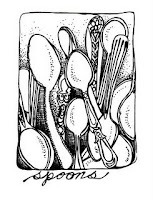 Some utilitarian objects, like spoons, thread and buttons, are more than the sum of their parts. They exemplify the everyday sacred. 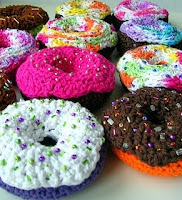 As for the baking references...pie, cupcakes, doughnuts. Does that need an explanation? Delicious! I'm hung up on cookbooks right now. Jane: I love your drawing style. 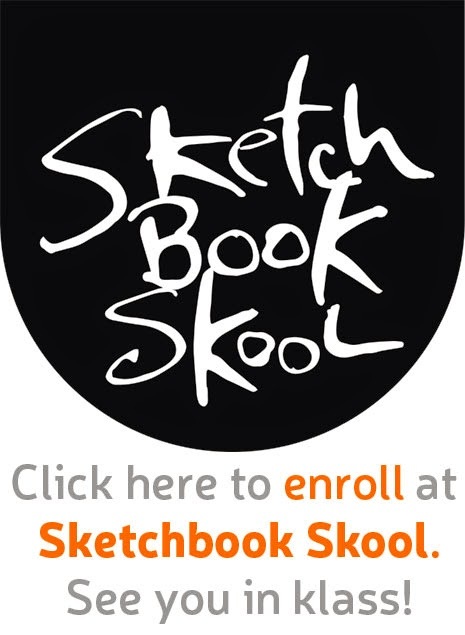 Do you draw in a journal or sketchbook regularly?Kelli: The only thing regular about my drawing is that I regularly abandon my sketchbooks. I'm sure they are all living together on the isle of unloved journals. However, I don't leave home without at least one good pen; Pitt, Rapidograph, Uniball, it doesn't matter as long as I have something with nice black waterproof ink. I'm working on building a repertoire of images that come naturally to me, which is why you see a relatively confined catalog of things I draw over and over. I am a huge fan of Danny Gregory, your mentor. His books and blog have pushed me to break through my fear of bad drawing. I still do lots of bad drawing, I'm just not afraid of it. Jane: I see that you’re involved with some swaps. Tell us about them and why you participate. 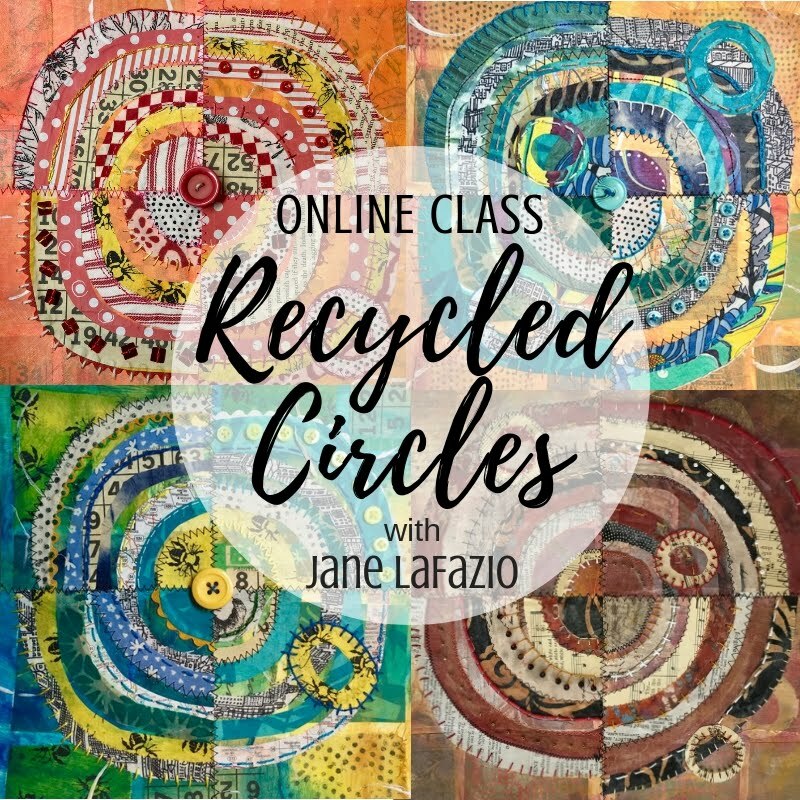 Kelli: As I note in the dedication of Stitch Alchemy, wherever you can find kindred souls for learning, experimenting and trading the work of your hands, I encourage you to connect with this great circle of artists. It's an amazing source of inspiration. My mailbox has hosted an exciting carnival of treasures from many different countries and all over the U.S. You can't buy this kind of love in the store! 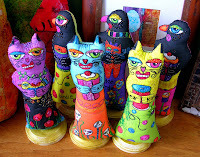 Jane: I’m a big fan of Spoonflower too, and I see you’ve made some dolls. Tell us about them. 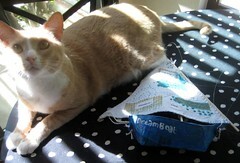 Kelli: Spoonflower is one of the most exciting things to happen in the textile world. It allows everyone to be a designer. 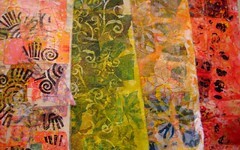 In fact, I'm working on some new fabrics now based on drawings and paintings I've done. 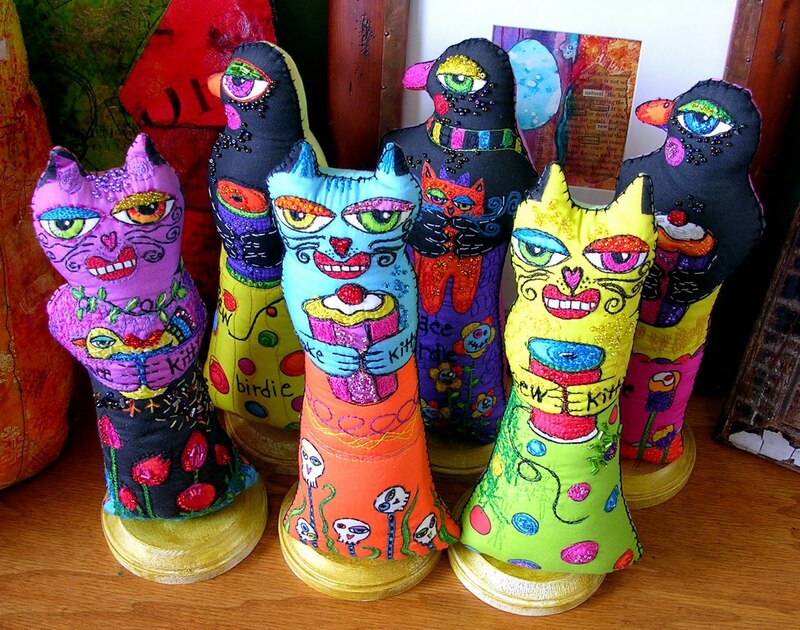 My cat and bird dolls were a first attempt at a soft doll form. It seemed natural to make cats holding birds and birds holding cats, to show that they can be friends. I made the images fairly simple so I could bead and embroider them like crazy. Jane: I know you work full time as a librarian and you have a family! Do you have set studio hours? How do in the world do you manage to make as much art as you do? Kelli: Most people miss opportunities during the day--all those little pockets of time that slip through our fingers. I keep a project bag with me at all times, so I craft during my lunch hour at work, while at the doctor's office, when we're watching a movie. We opted not to have television at our house, so each evening my family does creative things instead of getting fixated on a screen. When I'm writing or working on a big project, I do "schedule" myself for studio time so I can justify saying "no" to other requests. Kelli: I think it's curiosity--the same force that caused me to become a librarian. I wonder what would happen if I put two ideas together or two unrelated materials or tried a new technique together with the one I'm currently using. There is a wonderment that I have never outgrown and don't intend to. They say that curious people live longer. That means more time for evil art experiments, muah ha ha. Jane: What's your teaching philosophy? Kelli: My philosophy comes from my background as a librarian. First, knowledge is power, so I'll share everything I know. Don't get me started if you're only a little interested. I'm like a runaway train. Secondly, have fun and let serendipity do the work. If you know exactly how it's going to turn out, you're doing something wrong. Open yourself to the mystery. Jane: What are you working on right now? Kelli: I believe in intense, promiscuous art making. As a promiscuous artist, I engage in multiple crafts at the same time. 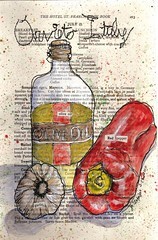 Lately, I've been abusing vintage book pages by drawing, painting and stitching on them. I love etsy and shop there often. 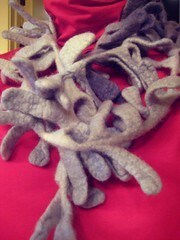 I just bought this adorable felt scarf from Kate Ramsen at Feltfieltroflic. Ironically, she's in Limerick, Ireland and I was there last September, but didn't know of her work--darn a missed shopping opp! Oh well, I'm making up for it by ordering from her online shop. 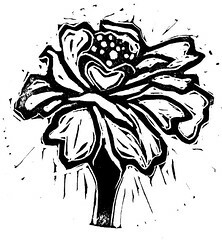 I really had fun making gelatin monoprints! 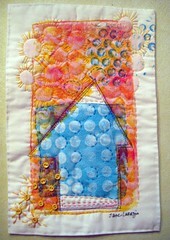 Here's the 3 little houses completed. All hand stitched. 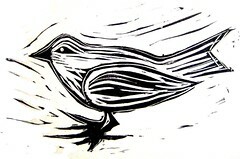 I learned a few things while making these monoprints. First, you need to just play and make a whole bunch of prints! 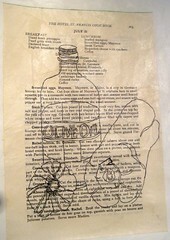 I printed on fabric, paper, and old book pages. You'll find that amongst all those prints, will be a couple that you really like. I also learned that I loved the edges of the prints, where you see the registration (or most likely missed registration) and layers of color. And I learned to leave plenty of space around the print. Oh, the other thing I did, is add some subtle color and shading with color pencils. They work great on cloth. I love my little tiny buttons!